This diverse exhibition will focus on the atmosphere of the city, its inhabitants, their work, views, but above all on the art that reflected all the latest, European artistic trends. It will show Krakow as a city of contrasts, in which a conservative clash of official clerics, a Galicia-bourgeois mentality with artists, decadent Bohemia, and shamers rejecting any ideals and conventions so alive in Krakow. On the one hand, Kraków was a parochial city of that time, but on the other it aspired to be called "Polish Athens" and "the spiritual capital of Poland". Krakow Tarnowski and Potocki listened to the sounds of the capital, the lovingly reigning, Krakow artists and bohemians, the Academy and the theater - news from the capital of the world. 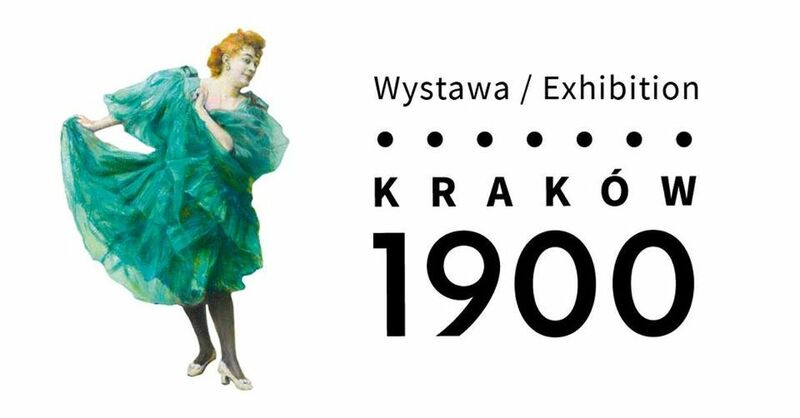 The exhibition will mainly be made up of paintings and sculptures from the collection of the National Museum in Krakow, but it will be enriched with posters, graphics, ceramics, clothing and textiles, everyday objects & archival photographs. We will see recognized masterpieces - works by the most important Polish artists at the turn of the 19th and 20th centuries, including: Teodor Axentowicz, Olga Boznanska, Julian Fałat, Konstanty Laszczka, Jacek Malczewski, Kazimierz Sichulski, Piotr Stachiewicz, Jan Stanisławski, Jan Szczepkowski, Włodzimierz Tetmajer, and young Stanisław Ignacy Witkiewicz, Wojciech Weiss, Witold Wojtkiewicz, and Leon Wyczółkowski. Tadeusz Boy Żeleński wrote that art was the only force that could oppose the palaces.